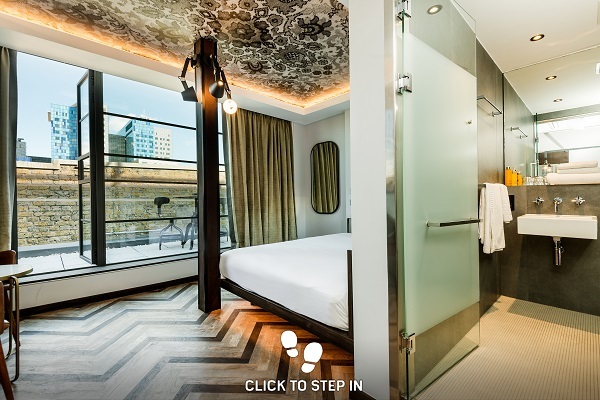 Next to Whitechapel Station and a short walk from Brick Lane and the City. 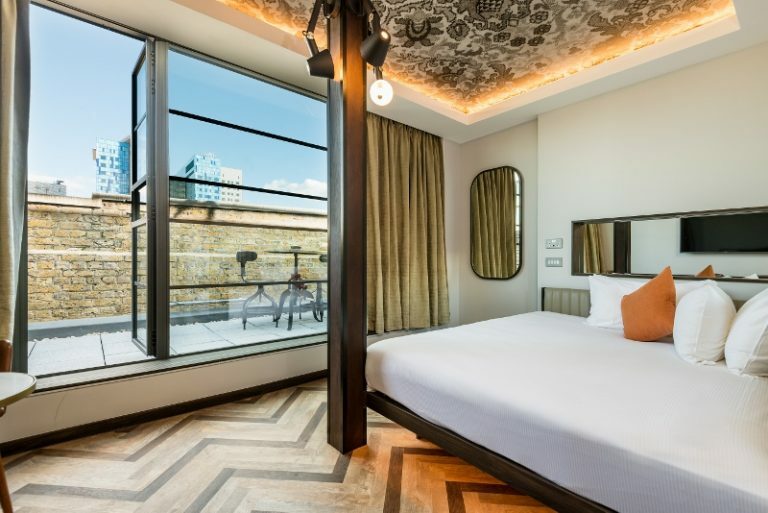 The New Road Hotel has opened fro business in East London’s uber trendy Whitechapel/City regeneration area, offering 80 bedrooms and large social spaces, including a signature Chophouse restaurant, two private event rooms, a cereal bar, and a rooftop terrace. The laidback style has been designed to offer a value alternative to five star offerings in the area. 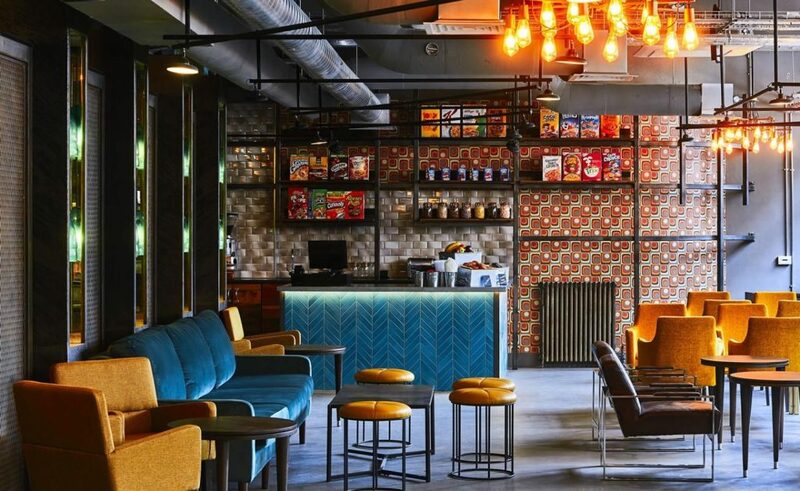 With an overarching industrial design, thanks to the original use of the building as a textile factory, the hotel says its spaces have been filled with furniture pieces sourced from local markets and sellers, as it goes from an ‘independent and unique’ vibe. To compliment the pops of colour and texture, many objects from the original site were uncovered during the renovation and have been incorporated into the architecture and interiors of the hotel, including original doors, and a ‘Service’ sign hanging above the bar as a nod to the original name of the factory – Service House. Effort has also been made to make the most of small spaces (given space is at a premium in the area). Each bedroom sports original exposed brickwork alongside original large windows. 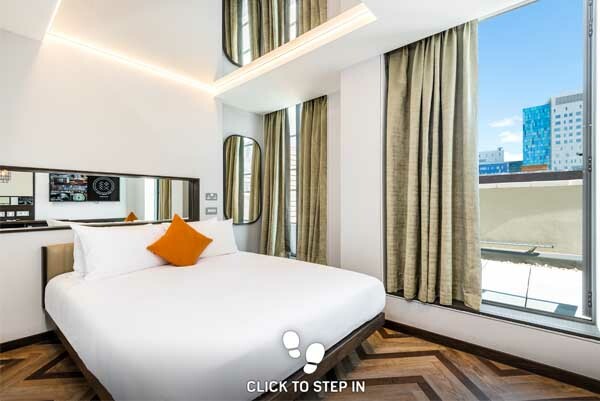 Hypnos Beds are the focus of each bedroom, while mini bars, ironing boards have been removed from rooms to save space, placed instead in the thematic lounges on each floor. The building also offers pool tables, snack station, a library and fitness equipment. 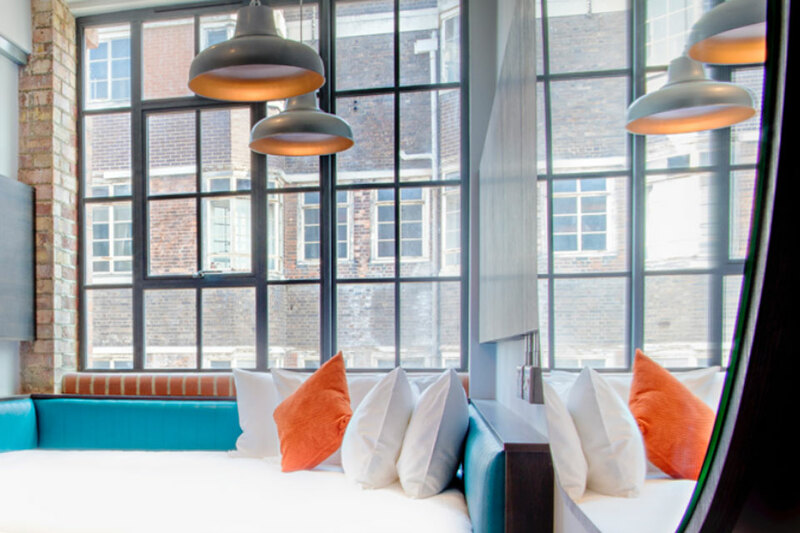 In terms of food and drink, The New Road Hotel is home to Marco Pierre White’s latest London restaurant – Mr White’s English Chophouse – which has been placed on the ground floor. 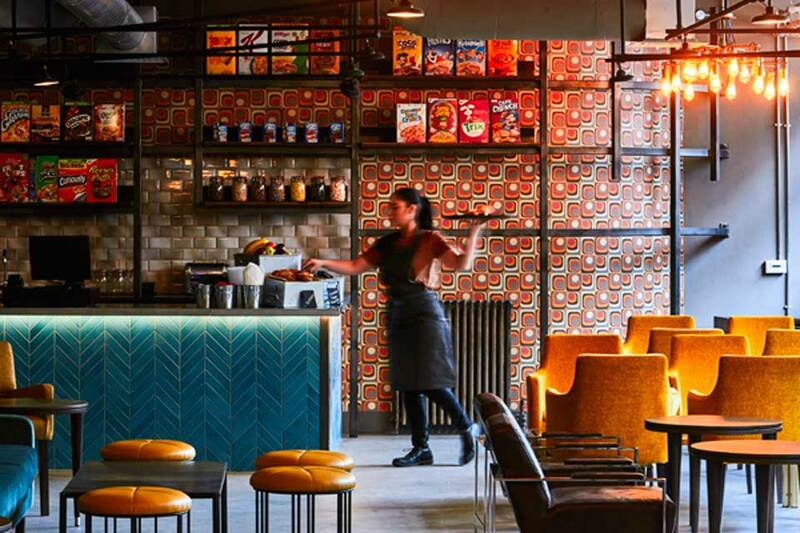 There’s also the Cereal Grind – described as the first hotel-exclusive cereal café in the UK, combining the best of cereal and coffee together.